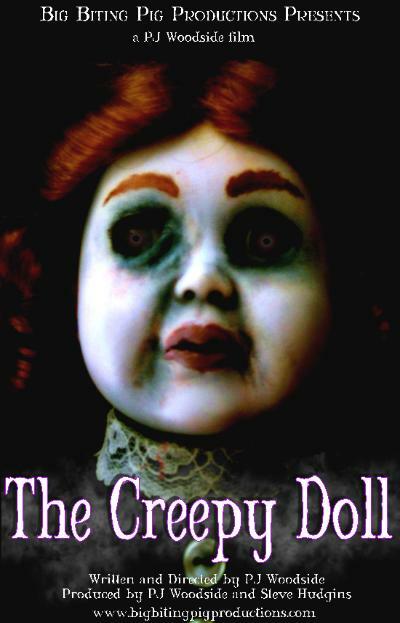 Synopsis: Newlyweds Jason and Kate Carraway are expecting a baby, but when Kate’s grandmother sends them Kate’s childhood doll collection, things get, well, creepy. Jason notices his bride slowly turning into someone he doesn’t recognize, and the doll may be causing it. Leslie’s Review: I’ve heard they are making a movie about Annabell, the doll from The Conjuring, and this story reminded me of that subplot (I loved everything about The Conjuring), so I really wanted to like this movie. It’s independent, it’s low budget, and the premise is intriguing. The one review on IMDB is favorable, so I thought I’d give it a try. It’s a good idea, but the movie lacks polished execution. There are a few dynamic shots (I really liked the black and white shots from the point of view of the doll), but the acting was a bit off, and the relationship drama dulled the horror feeling for me. It comes together pretty well, but by the time we finally arrived at the end, I didn’t really care anymore. I honestly feel like a movie about that story would have been more entertaining. Amazon Prime members can stream it for free right now, and I applaud the filmmakers for their idea and attempt, but I’m not sure I can recommend it. Click Here if you want to Watch The Creepy Doll Online Now!